Take everyone’s favourite sandwich (a BLT, of course! 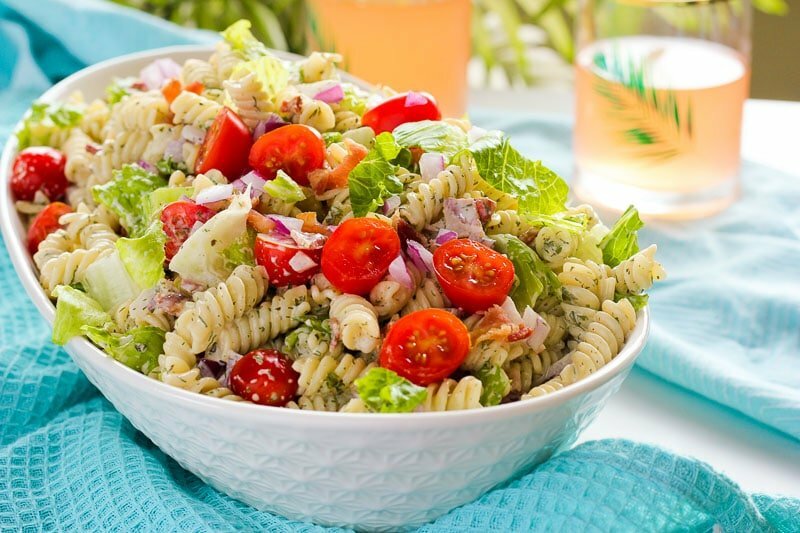 ), mix it with a creamy ranch homemade sauce and make it into a crowd-pleasing pasta salad – the perfect side dish for potlucks, bbqs or parties! 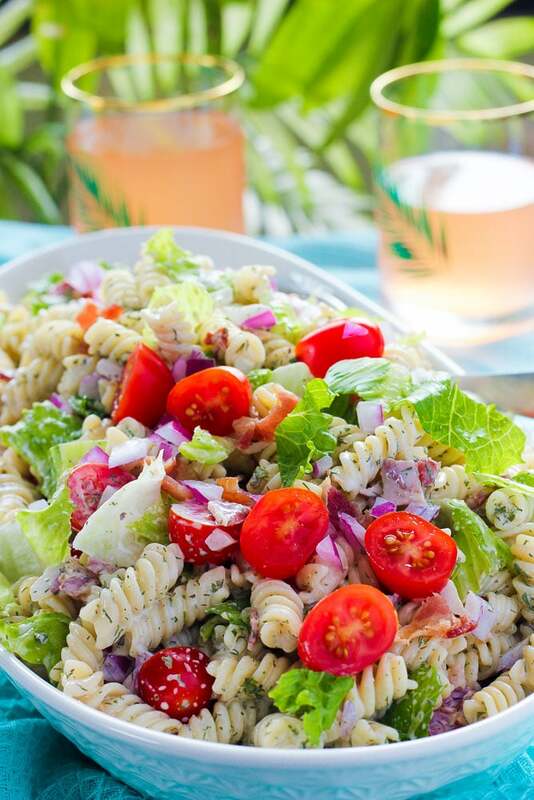 This BLT Ranch Pasta Salad is a perfect combination of some of my favourite flavours – bacon, lettuce, tomato sandwiches, creamy ranch dressing, and pasta. 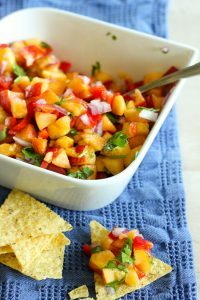 I’m always looking for great side dishes in the summer, to go along with whatever we’re barbecuing, or to bring to a potluck or picnic. 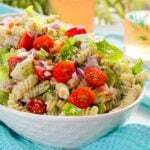 I especially love different pasta salad recipes. This pasta salad is awesome because you can make it ahead of time, it tastes great, and it’s simple. 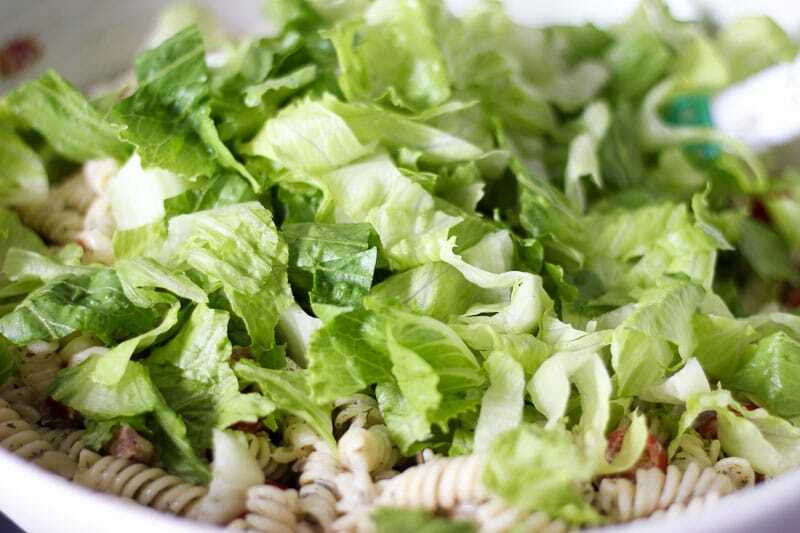 Pasta is super cheap (I used rotini, but you could definitely use bowties, penne or another short pasta), bacon often goes on sale and I like to freeze half packages of it, and summer is prime time for cheap lettuce and cherry tomatoes. The creamy sauce is made from pantry staples and dried herbs. Easy peasy. I love that you can also customize this pasta salad to suit what you have on hand or what you like/don’t like. Have an extra avocado or some yummy cheese? Throw it in! Not a fan of onion? Leave it out! 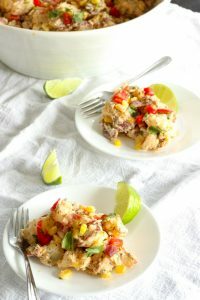 You could also add diced bell peppers, celery, peas, or top a bigger serving with some grilled chicken to make it a main course. YUM! Start by cooking a pound of short pasta in a large pot of salted water, until it’s just past al dente (check the package for time suggestions). Tip: Your pasta water should taste salty like the ocean. 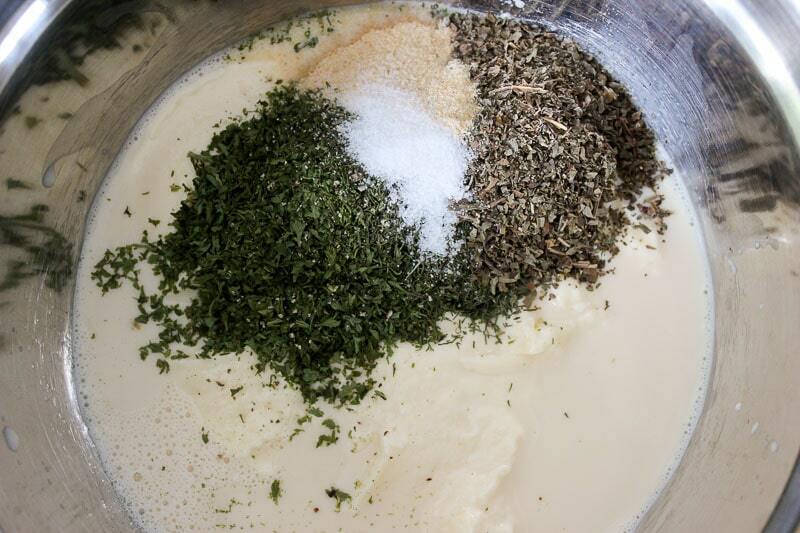 While pasta is cooking, mix up your evaporated milk, mayo and dried herbs and spices to make the dressing. Set aside to let the flavours meld. 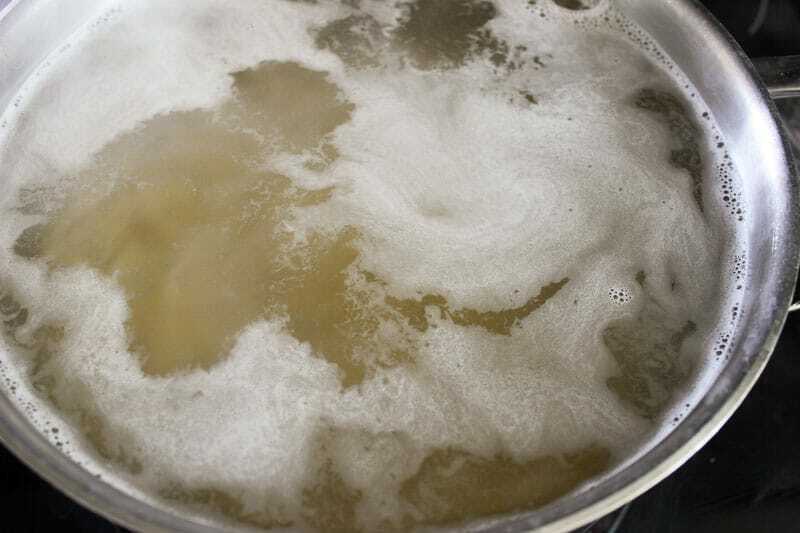 When pasta is cooked, rinse it until it’s almost cold under cool water. Tip: I like to leave the pasta just a little warm because I find it absorbs the sauce better. Put it in a big bowl and toss it with half the ranch dressing/sauce. Refrigerate. 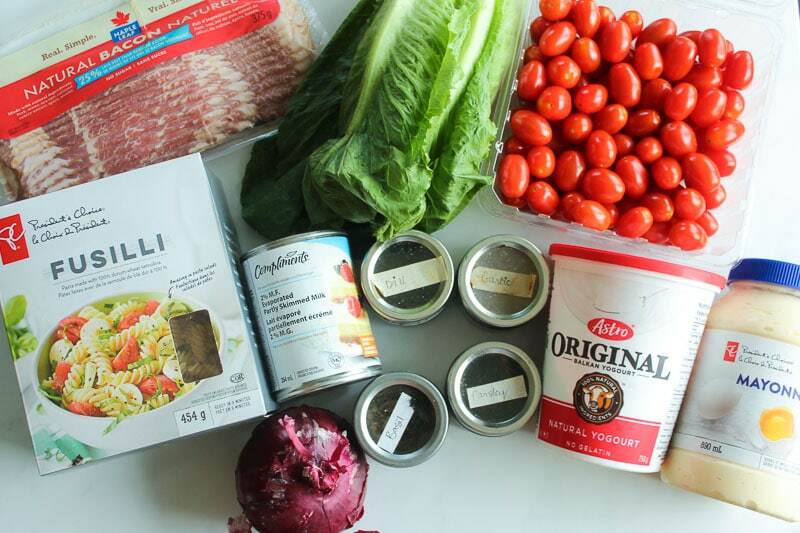 Prep your add-ins: mince half a red onion, wash and halve cherry tomatoes, cook and crumble bacon, and wash and dry romaine lettuce and chop it into bite-sized pieces. Tip: Try cooking your bacon in the microwave for a hands-off and mess-free experience. We use a dish similar to this one. 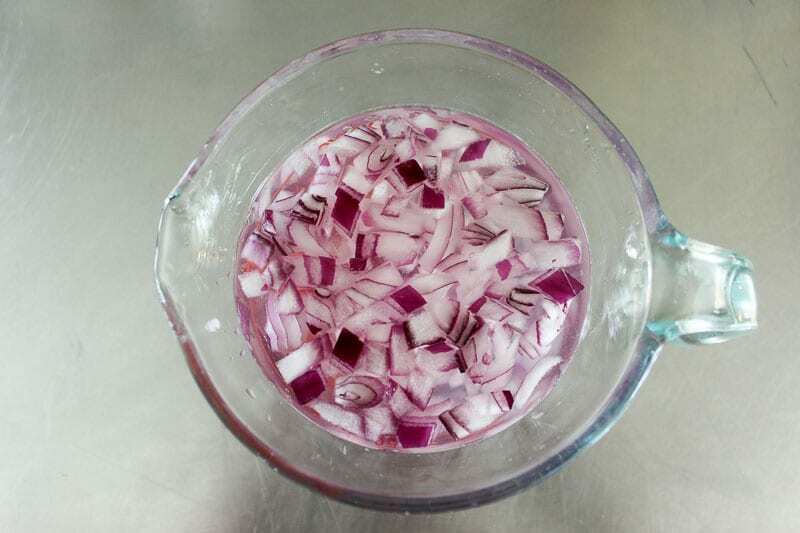 Tip: If you find the flavour of raw onion too strong, put your minced onion in a dish and cover it with cool water. Let it soak for a few minutes, then drain it, dry it with paper towel and add it to your recipe – it will have much less bite! Add the red onion, bacon and cherry tomatoes to your pasta with creamy ranch sauce and gently stir together. Add half the remaining dressing and refrigerate until you’re ready to serve. Refrigerate the leftover dressing separately (you might need it when mixing the salad before serving). Reserve the lettuce until you’re ready to serve the salad. Wrap slightly damp lettuce in paper towel and store it in a large zip top bag in the fridge until you’re ready to serve the salad. When you’re ready to serve the salad, mix in the lettuce and check to see whether you need to moisten the salad more with the reserved sauce. Add more if desired. Should I rinse the pasta for my pasta salad after cooking? Some people ALWAYS rinse their pasta (I absolutely do not, for hot pasta dishes). Some people NEVER rinse their pasta. However, I think for pasta salad it is very helpful to rinse the cooked pasta in cool water to quickly cool it down, but to leave it just a tiny bit warm, drain it super well and then mix it with the pasta salad sauce right away. I think it absorbs more of the sauce (and thus the flavour) when it’s still warm. 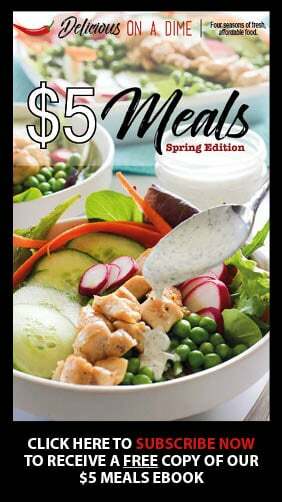 Can I use store-bought ranch dressing for this recipe? Yes, technically you can, although it will change the flavour, of course. If you use store bought ranch dressing, you might want to try Hidden Valley ranch. I find it has a great flavour. Can I use different shaped pasta for this recipe? Yes, any short pasta should work well. I like rotini (or fusilli – or other corkscrew pastas) because they have a lot of crevices for the sauce to get into, which makes every mouthful taste great. You could also try bowties, penne, or even macaroni. 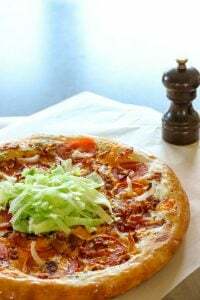 Yes, you can do everything except add the lettuce ahead of time. You could even cook your pasta and mix it with the creamy sauce further ahead of time, add your add-ins closer to the time of eating and then add your lettuce at the last minute before serving. Can I add different ingredients to this pasta salad? Of course! I think crunchy bell peppers would be delicious in this salad and you could add a variety of colours to make it really festive looking. Celery would add a nice crunch. Shredded carrot or cheese would be great for colour. Avocado (at the last minute), peas, chicken, and I’m sure lots of other ingredients, would also be delicious. 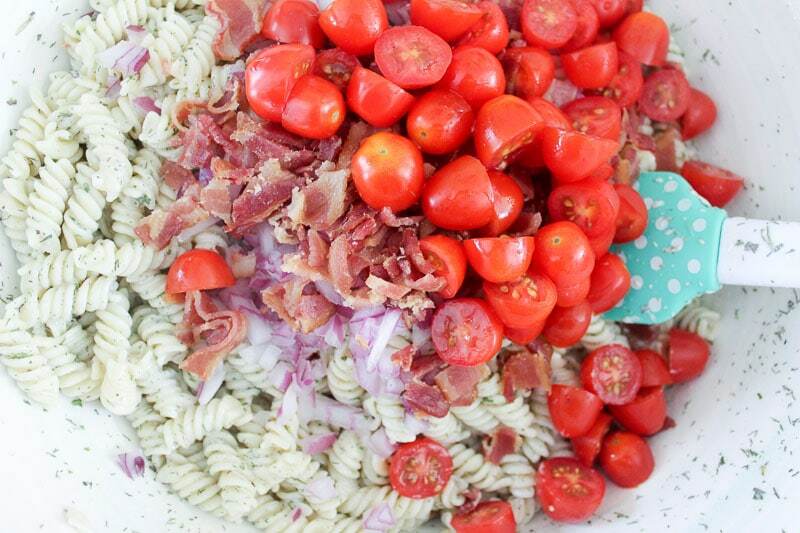 Did you make this BLT Ranch Pasta Salad? 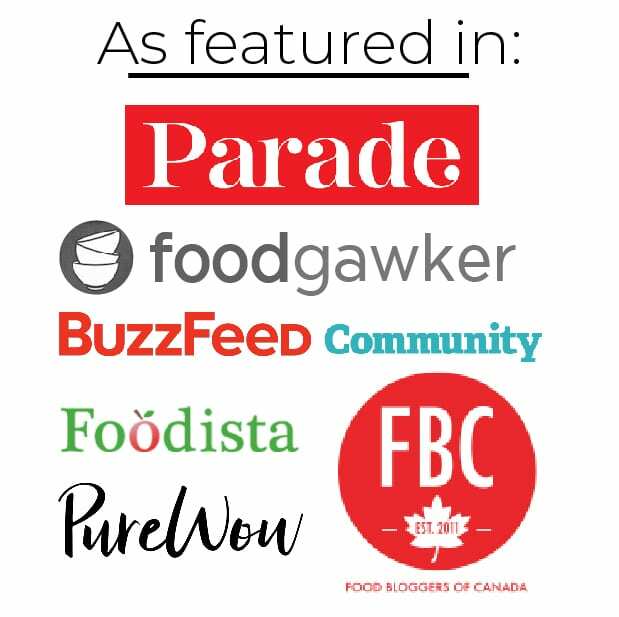 Leave us a star rating below! 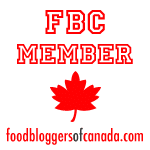 Take everyone's favourite sandwich (a BLT, of course! 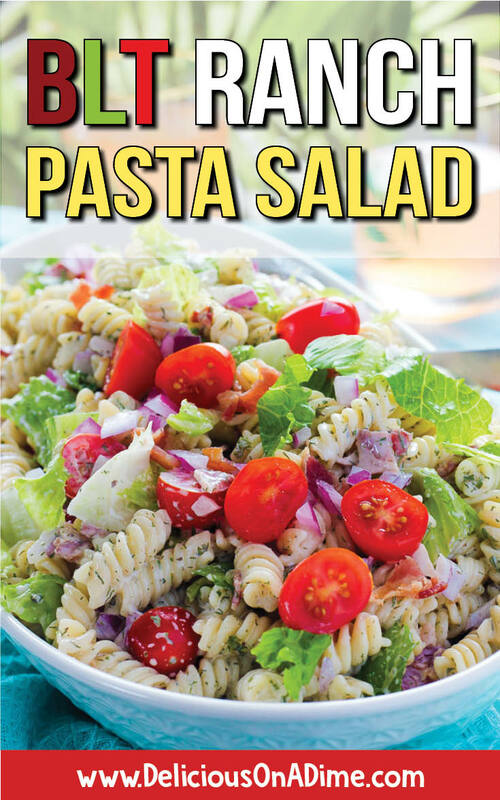 ), mix it with a creamy ranch homemade sauce and make it into a crowd-pleasing pasta salad - the perfect side dish for potlucks, bbqs or parties! 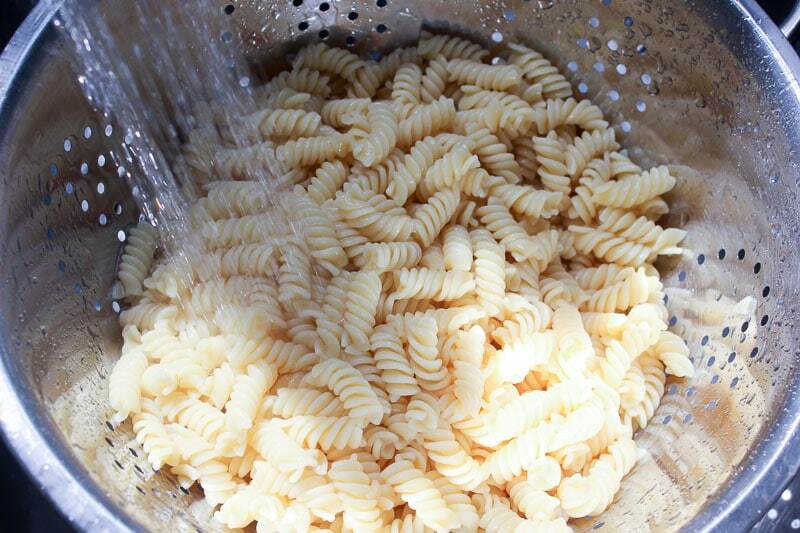 Cook pasta in a large pot of salted water* until it's just past al dente (check your pasta package for cooking time). Meanwhile, mix together ingredients for the creamy ranch sauce and set aside. When pasta is cooked, drain and rinse under cool water until pasta is just warm. Drain well and toss with 1/2 of the sauce. Refrigerate. Prep the other ingredients. 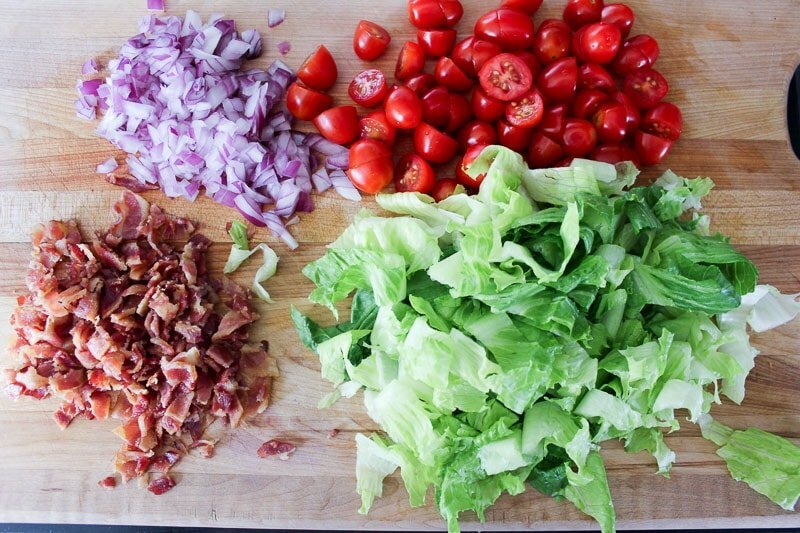 Mince red onion**, wash and halve cherry tomatoes, cook and crumble bacon***, wash, dry and chop lettuce. Mix onion, tomato and bacon with pasta and add 1/2 of remaining sauce. Combine gently and refrigerate until ready to serve. 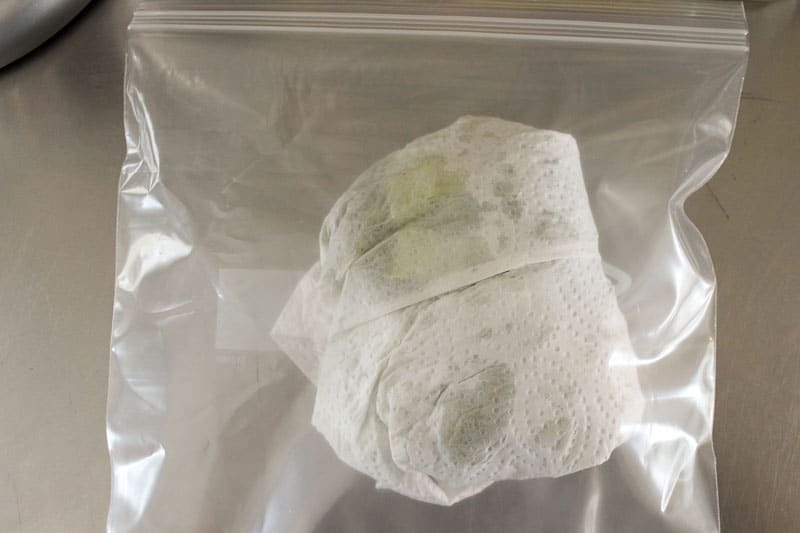 Wrap damp lettuce in paper towel, place in a zip top bag and refrigerate until ready to serve. Refrigerate leftover sauce separately. At serving time, add salad, mix gently and do a taste test. Add more of the reserved sauce if desired. *Pasta water should taste salty like the ocean. **If you find raw onion too strong, mince your onion and soak it in a bowl of cold water for a few minutes. Drain, pat try, and use as directed. This will take away most of the 'bite'. ***We like to cook our bacon in the microwave (especially when making smaller amounts, like 1/2 a package) because it's pretty much mess-free and hands-off. We have a special dish similar to this that is awesome.